· Visitors should be limited to two essential adults (at least 18-years-old) per patient – essential adults could include designated family members, spouse/domestic partner or spiritual counselors. While the community is experiencing widespread influenza transmission, it's important not to unintentionally expose patients in hospitals, nursing homes or any other confined setting. Influenza can spread to others during the incubation period – the time after a person has been exposed and the virus is actively replicating in their body but no symptoms are present. This is often how the flu can spread so quickly in a community and why there is cause to limit visitors to hospitals, emergency rooms and other places sick people go for care. · Cover your cough and sneeze with a tissue. If you don't have a tissue, cough or sneeze into your upper sleeve or elbow, not your hands. Influenza vaccinations can be received at many local pharmacies. Visit http://www.heroesplan.org/locations/ for available locations. 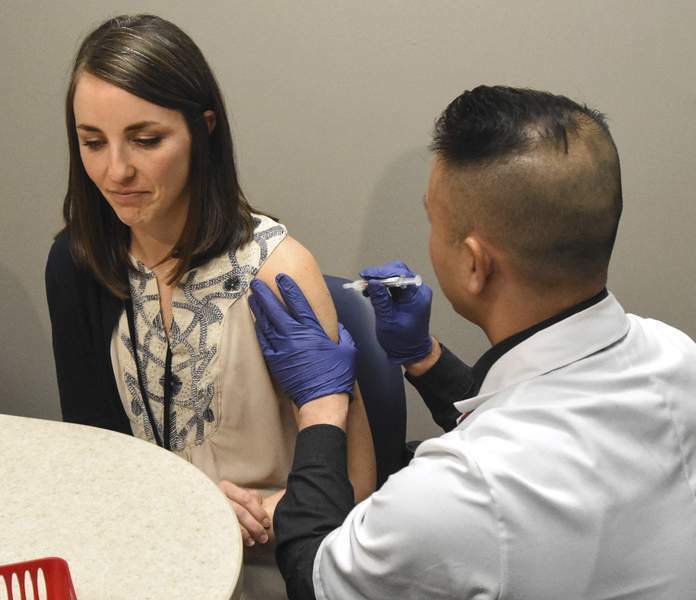 Vaccines can also be received by scheduling an appointment at the Allen County Department of Health Medical Annex, or by visiting an area urgent care clinic or primary care provider's office.